John Brodie, Product Manager for Fastenings & Fixings at HellermannTyton, sets the record straight on the 18th Edition requirements for supporting wiring systems. With the 18th Edition of the IET Wiring Regulations coming into force this month there is already plenty of speculation as to what exactly the new regulations mean, leading to many varied and confusing interpretations about supporting wiring systems. To understand what additional support is required for wiring systems, we must first understand what has changed in the regulations. Firstly, there is the location – the scope of where additional support is required, is now much greater than it was previously. Where the previous wiring regulations stated “escape routes” it now states “access or egress routes”, meaning both entry routes in and exit routes out of the building are covered. What is clear from these changes is that the scope of the new regulations is wider than in the 17th Edition 3rd Amendment, specifically where reference is made to both entry routes in and exit routes out of the building. This reference combined with explicitly requiring metallic fixing is to reduce the risk of cables causing an obstruction – both to the residents of buildings as well as to first responders. Where changes have been made to include cable trays and baskets it is recommended that larger cables and cable bundles are fixed within a cable basket or tray. By using metal fixings such as stainless-steel cable ties in conjunction with cable trays and baskets ensures maximum compliance with the 18th Edition to reduce risk of cables causing obstruction in the event of a fire. 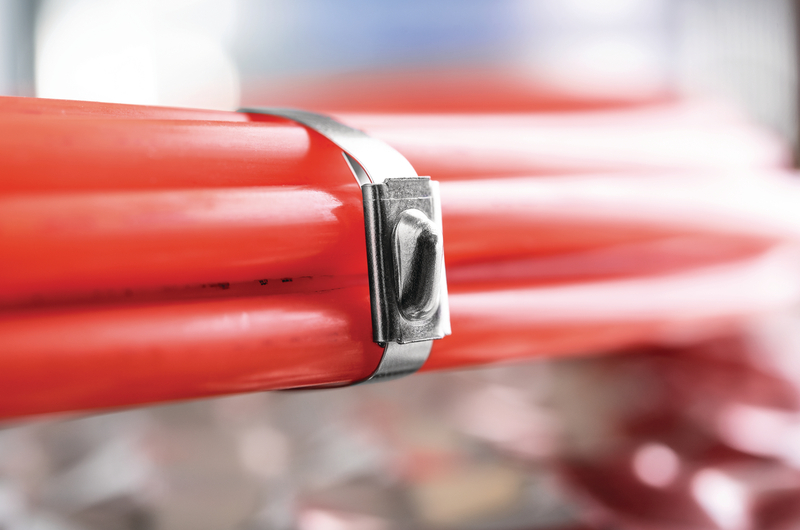 Fire Performance cables must maintain their function for a minimum of 120 minutes at temperatures up to 970 degrees. HellermannTyton recommends that fire resistant cable is supported using exclusively metal fixings. 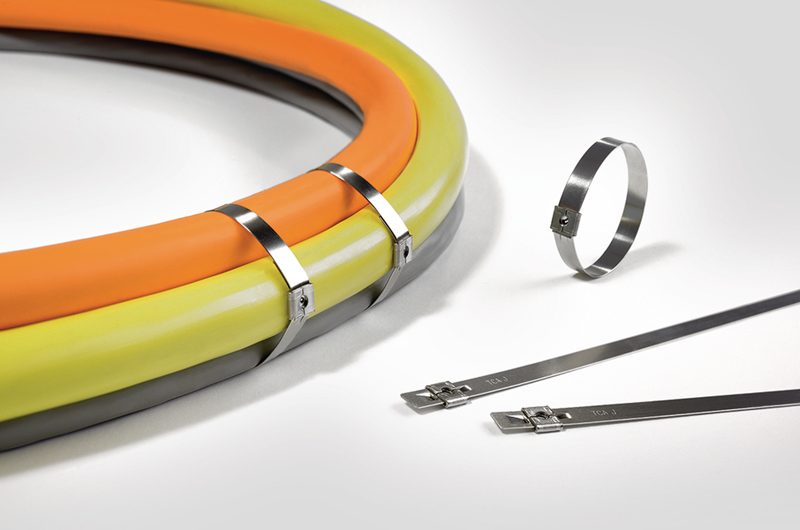 HellermannTyton has an in-house design team and its own manufacturing capability, so can provide expert advice on cable management as well as bespoke solutions. Previous : EV Charging: Do You Have The Right Test Equipment?